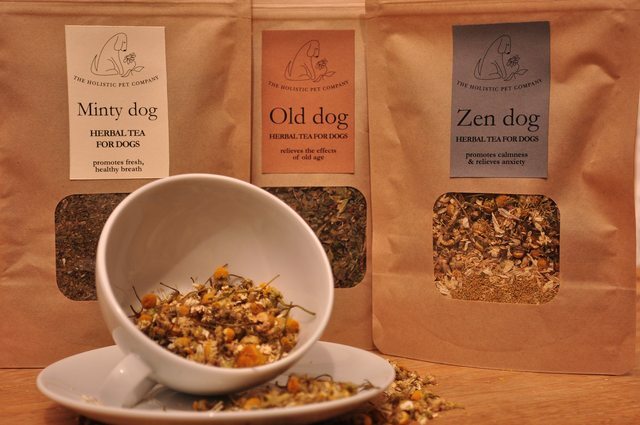 All our herbal teas are intended to be used by adding them to your dog's food (this works especially well on dry food), although some dogs will also drink them on their own, like tea. Add half a teaspoon of your chosen Teadog's blend to half a cup of hot water. Top up with cold water and serve with your dog's food twice daily, or offer as a drink. Each pouch of Teadogs contains enough herbs for 30 days usage. We have found Teadogs to be very successful for both of our dogs. Ned, our rescued Labrador cross is noticeably calmer and Jake our thirteen year old Dalmatian is still very spritely given his age! 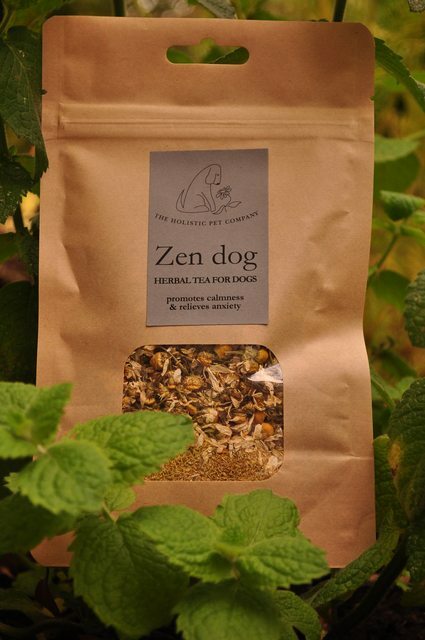 Zen dog is a herbal infusion especially formulated to promote calmness and to relieve anxiety. It can be used for situations that some dogs find stressful such as thunderstorms, fireworks night, trips to the vet or as an aid in separation anxiety. It can also help to promote a restful night's sleep and can help dogs to settle in a new home or when away in kennels. 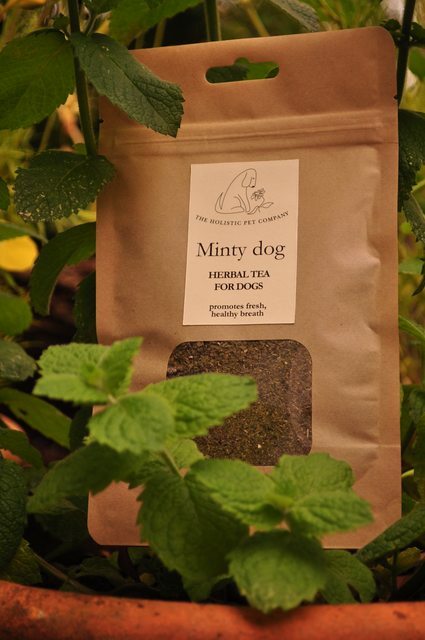 Minty dog is a herbal infusion that promotes fresh, healthy breath. It can help with bad breath and supports oral and digestive health. 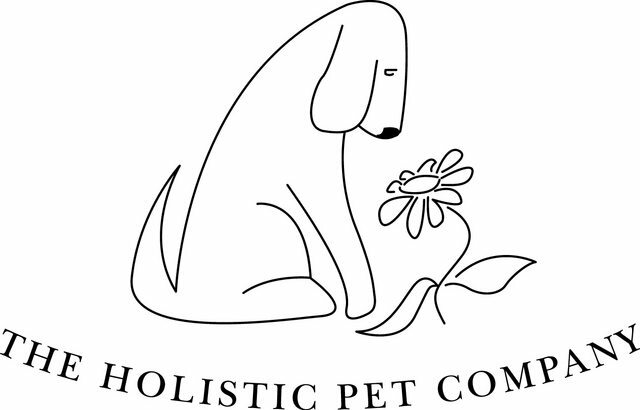 With the help of some natural, Minty dog infusion every day your dog doesn't need to have doggy breath any more! The tTraditional cleansing and detoxifying herbs used in this tea have actions that help support a healthy and sweet smelling mouth and gums. 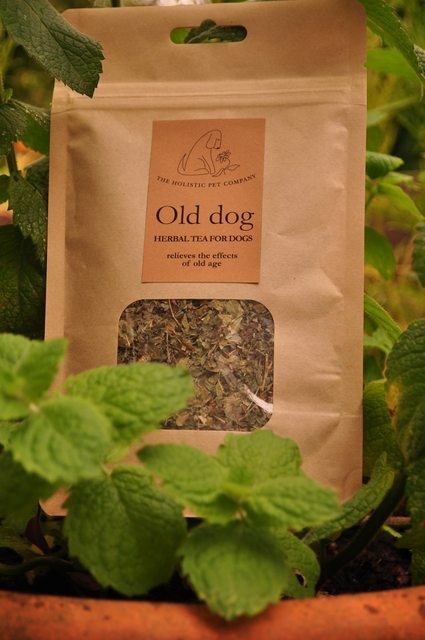 Old dog is a herbal infusion especially formulated to help relieve the effects of old age and to help support your dog through their senior years.